It's raining cats and dogs here, which is good because here in SoCal we are in the midst of a pretty serious drought. While I didn't really enjoy being woken up twice last night by the emergency alarm feature of my iPhone which told me that there was an impending tornado in Sacramento (that's nowhere near me, so why are you waking me up at 4:00 am, iPhone?) and another time for a flash flood warning much nearer, I do like the sound of the rain tapping outside my window. It feels like forever since we have had a good storm, so it's a welcome change. Today continued our second day of rain and there was just a brief window of sun, so I took a few pictures to show what I like to wear when it's pouring out. 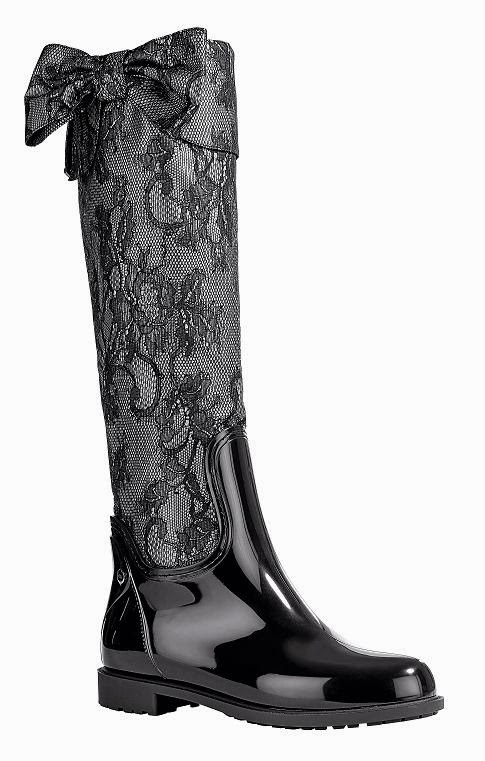 Rain boots are a must. I like these because the quilting is suggestive of Chanel. 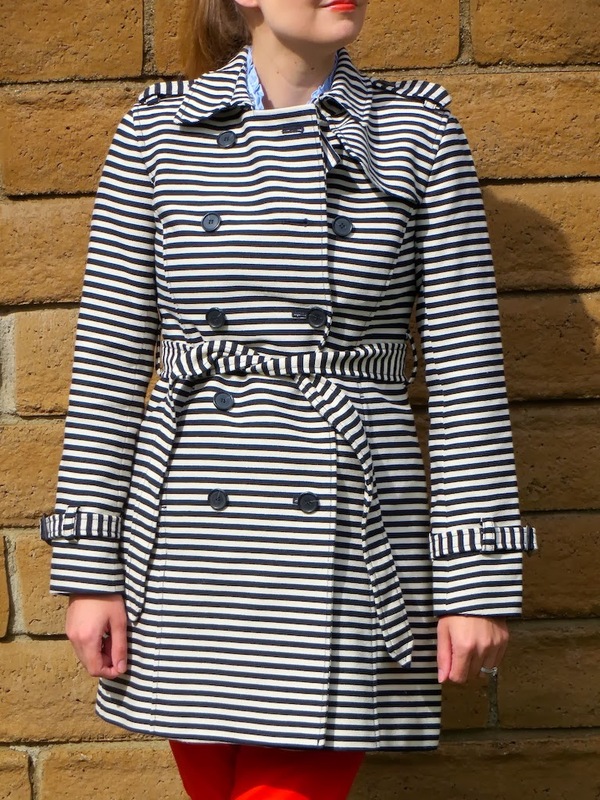 My striped trench coat from LOFT is also a nice and easy way to add a little style to rainy weather wear. Since it's raining and not too much is going on, I have been perusing the Internet a bit. 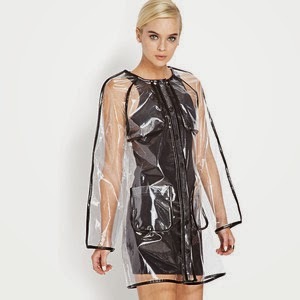 I came across the following selections for things that I would add to my collection of rainy weather pieces. Since it doesn't rain much in sunny SoCal I think I am pretty much set with rain gear, but it's fun to look! Ahh you are getting our rain! At least you have a cute outfit to go with the drab weather, Katie! Hope you guys are staying warm and dry. 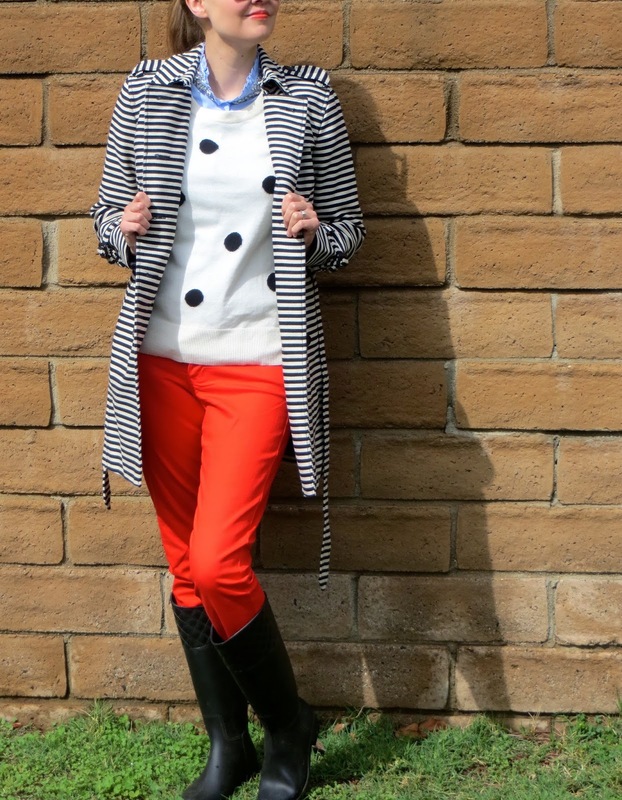 The stripes with the dots and red is a fab combo! Stay dry! 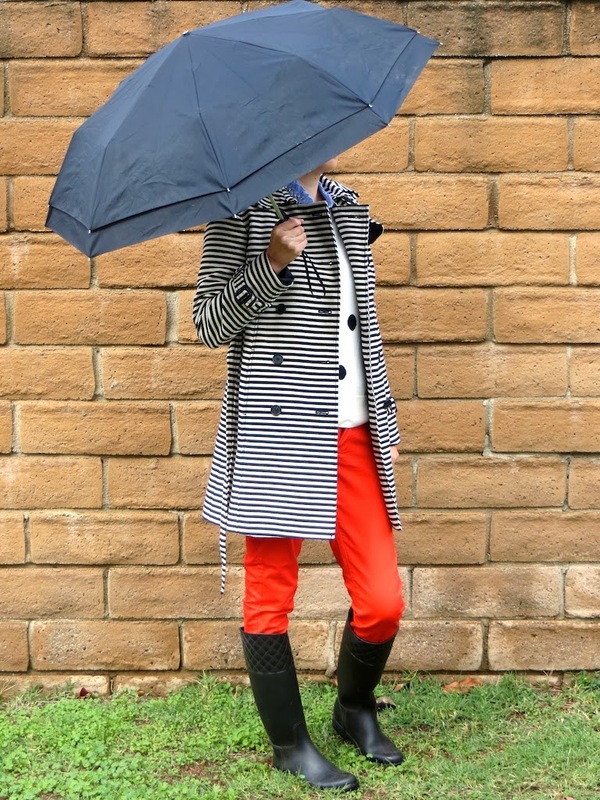 Love the pop of red in your outfit to brighten the rainy day. 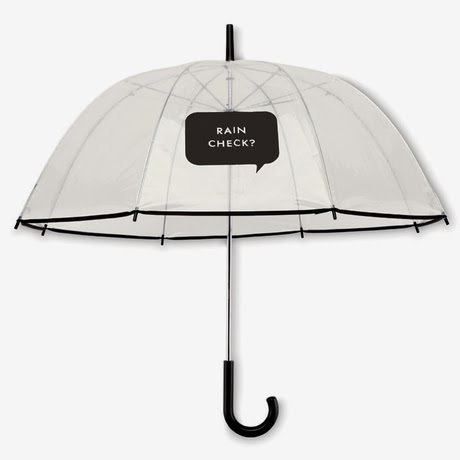 Also, the Kate Spade umbrella is adorable! Oh, the temptation...!